The fourth studio album from Australian-American post-minimalist chamber quartet Clogs, is a mellifluence of atmospheric, improvisationally-spirited classical chamber music with some of the vital immediacy of rock. Lantern, the fourth studio album from Australian-American post-minimalist chamber quartet Clogs, is a mellifluence of atmospheric, improvisationally-spirited classical chamber music with some of the vital immediacy of rock. That's a mouthful, but the truth is, Clogs' music makes most of my words superfluous: it hums and floats through evocative moods of tranquility and melancholy, and occasionally, transcendence. Clogs is made up of Rachael Elliott, Thomas Kozumplik, and famously Bryce Dessner and Padma Newsome of critically acclaimed Clap Your Hands Say Yeah soccer-opponents The National. That some members also perform in a popular indie-rock group does two things: first, it somewhat unfairly overshadows the exquisite classicism Clogs displays; but on the other hand, it gets the group reviewed on websites like this rather than, say, classicstoday.com. Musically, Clogs don't really suffer from the usual genre-blending identity problems; four albums into their career, the group sits comfortably in their own niche. Padma Newsome, the band's major creative force, has highlighted the improvisational nature of Clogs' compositions. I'd point you in the direction of Jennifer Kelly's recent PopMatters interview with the band for a good idea of how the group uses jazz/rock collaborative methods to extrapolate a complete composition from raw ideas. But the knowledge of this process, when compared to the results, presents a bit of a problem. 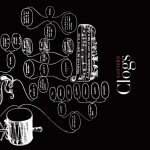 Just listening to Clogs' music, it's easy to notice the minimalistic repetitions; but we know Clogs arrive at classical-styled minimalism not through tightly structured rules (as the movement's music was originally conceived) but through improvisation. So is the group cheating, approximating an artistic rigour it admits it doesn't partake in? I think Newsome would disagree -- the very fact that Clogs can create this exquisitely beautiful music is almost an indictment of classical music's seriousness, its inaccessibility. This brings to Clogs' short compositions the import of a Big Statement -- but the music is good enough that it deserves that level of thought. If improvisation is the core of Clog's sound, the effects are minimized on Lantern; songs are repetitious, building of what could be described as a riff (or a basso continuo), but at the same time sure. They flow in sophisticated arcs. They incorporate themes intra-composition and across the album as a whole. For example, the first song, "Kapsburger", re-interprets a 16th century lute composition (with a whispered "one-two-three-four" rock 'n' roll opening); and the arpeggiated theme is recalled, in different configurations, on floating "Tides of Washington Bridge" and "The Song of the Cricket", which incorporates electric guitar into a layered, complex atmosphere. "2:3:5" is a shifting-against-itself folk ballad, all soft violin melody pulling against the arpeggiated guitar. "Fiddlegree" takes folk-tinged minimalism further, exhibiting some of Newsome's obvious virtuosity. "Death and the Maiden" turns the Schubert melody from his string quartet (and leider) of the same name into something totally different, a free-flowing violin flourish. The record's farewell, "Tides (Piano)", a piano ballad of simple chords, is reminiscent of Chopin's Prelude in E Minor, Op. 28, No. 4, but still evocative and full of beauty. If there's one criticism to be made of Lantern, it's that it demands too little to be a notable contribution to 21st century chamber music. Prettiness stopped being regarded as a necessity for chamber music before the time of Shostakovich; and though 'calm' is certainly a valid mood to evoke, we've come to expect more grit from a century's worth of composers totally engaged in the modern world, with all its atrocities. In "Death and the Maiden" this is thrown up especially stark -- compared to Schubert's rigid Classicism, Clogs' reinterpretation sounds a little directionless, almost disengaged. Still Clogs, whether on purpose or not, are doing something that is important for contemporary classical music: they're bringing it to the iPods. Their music is exquisite; it rocks, saws and sings its way into your heart. And it's beginning to explore some areas of greater complexity that could bring it up to the first rank of minimalist works. Clogs is a perfect choice to fill that slot of time in your playlist when you've just been rock 'n' rolled out, and you want something intelligent but calm. Can't quite hack Glass? Try Newsome instead.